Never miss a customer. Ever. Everyone told us it couldn’t be done. So we went ahead and did it. We are not another marketing tool. No, really we’re not. We’re not live chat, we’re not digital marketing, and we’re definitely not offering to sell you more “quality leads”. We know you’ve heard that enough. Make your customers finally scream “Wow!”. It’s time for something new, something innovative, and just damn impressive! Your customers want to communicate with you. We give you that power! Think Superman status. Almost every customer is looking for something different. 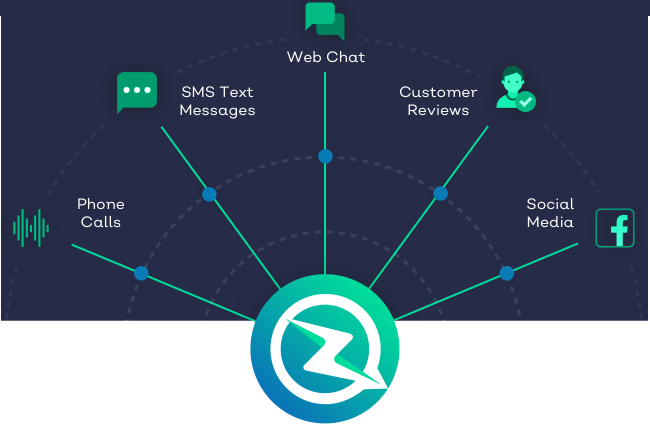 Whether it's needing help with scheduling an appointment or guiding someone to leave a review on a job well done, Zyra is here to help. 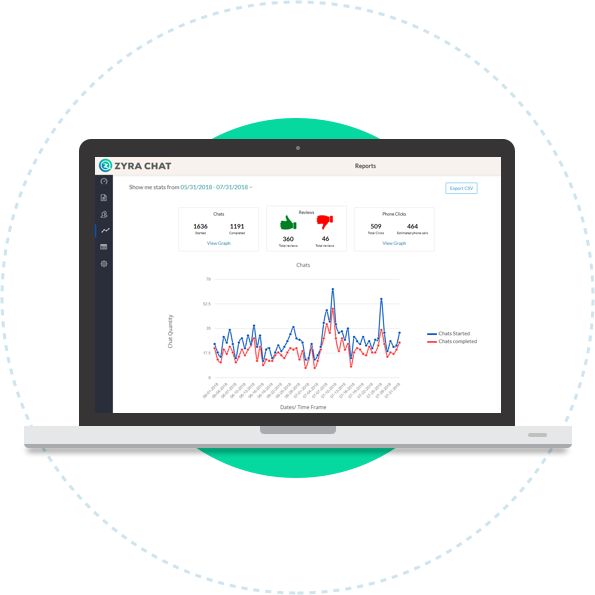 Zyra was built to capture customer leads. We get it, you're busy and don't have the time to close every hot lead. Zyra will take care of everything for you. Our clients are seeing a 67% increase in converted website traffic. That's a ton of extra leads! You bet it can! We know your website visitors want to do more than just schedule appointments. Reviews, phone calls, company hours, job prices, you name it, Zyra does it. Additional features can be added and removed whenever you want. We’ve been texting for decades, why can’t your customers text you? Your customers want answers, and they want them right away. Google and Amazon are doing it. Why can’t you? It’s time to raise the bar. Conversations don't just have to start and stop online. Waiting on hold for 7-10 minutes, Being transferred to multiple people, unfriendly customer service. Gone are the days of customers filling out static webforms, waiting 10 minutes for answers on outsourced live chat services. It's too competitive out there. Take them offline. Believe it or not, your customers live on their phones. Texting has become the "easy way" of communication. If you can book a table at the restaurant through text, why can't a customer schedule a service via text? 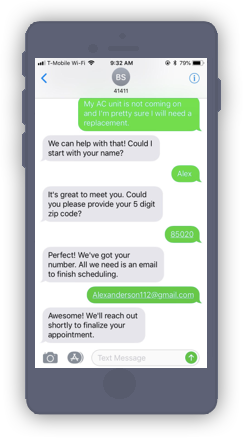 Zyra Text's automated conversational interface allows customers to easily text "service" with what they need done and seamlessly schedule their appointment. All done without any human intervention. How cool is that? Zyra Voice is a game changer. Our proprietary software allows customers to call a service company and schedule for any appointment. It's powerful. 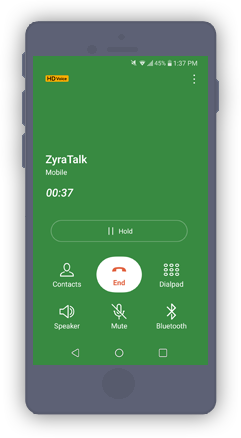 Developed based on feedback from thousands of companies, Zyra Voice is the ultimate virtual assistant powered by Artificial Intelligence. No more customers waiting on hold, no more missed leads, 200% increase in conversions. And of course, one happy customer! In today’s world, if you don't have chat on your site, you are behind. 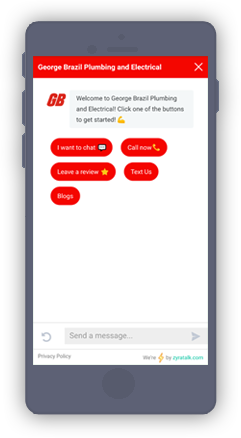 Zyra Chat provides your customers with the one thing that makes them feel human and connected: Conversations. Instant answers. Qualified Leads. More reviews. More happy customers. That's the power of Zyra Chat. 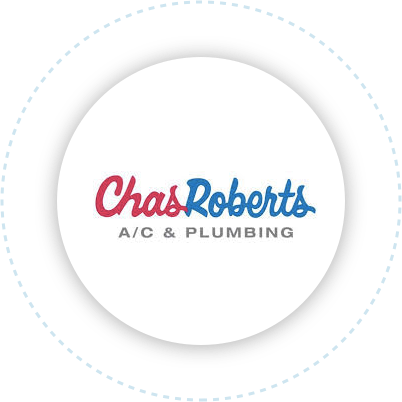 Chas Roberts: Chas Roberts is one of the largest home service companies in Arizona and does a couple hundred million dollars per year in revenue. In the past 3 and a half months, they have had had 505 completed chats and 247 phone calls. Their chat completion rate is 76% which is is much higher than the industry standard for live chat of 30-40%. This is something that their VP of residential sales, Damon, is very excited about. 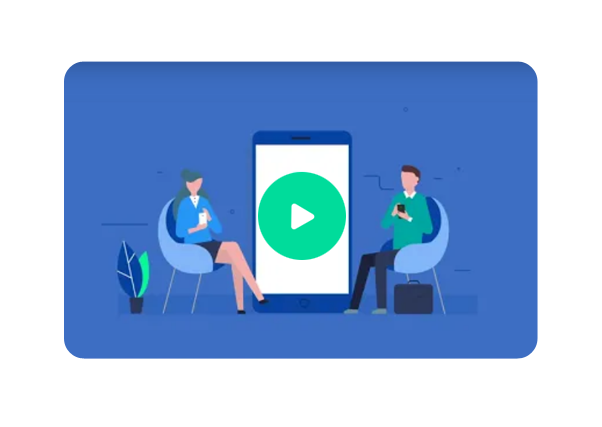 They will generate multiple millions of dollars in revenue extra with Zyra on their website. 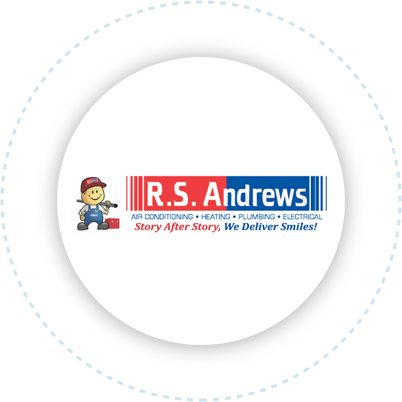 RS Andrews: RS Andrews is one of the leading Plumbing and HVAC companies in Atlanta, Georgia. In the last 2 months they have had 477 chats and 118 phone calls. They have also had 40 reviews. The president of the company, Dari, has seen such an impact in his company that he has referred us to be a part of one of the top contracting groups as a preferred vender. Dari is a more tech-savvy contractor and sees this as a game changer in the industry. Roofing, painting, and general contracting companies: Roofer, painters and general contractors obviously don’t get as much volume in their business, but when they are able to convert more jobs, they see massive returns because their jobs are worth thousands of dollars. 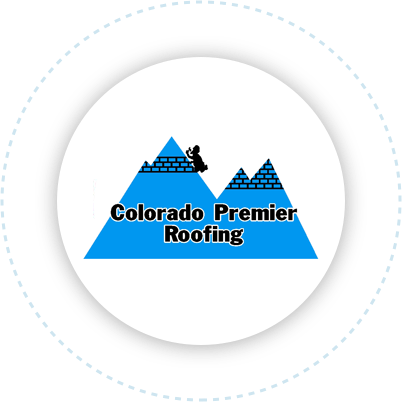 Companies like Colorado Premier Roofing, ACN Painting LLC, and H & A My Designs are happy when they are able to add a few more additional jobs per month. George Brazil - George Brazil Plumbing and Electrical: George Brazil has been a long term client of ours and has seen tremendous success. The president, Marc, and the marketing manager, Shawne, are very happy with the results and the improved customer experience. In the last 4 months of using Zyra, George Brazil has generated 142 jobs and $118,513 in revenue. They have also generated 179 additional reviews directly through Zyra Talk. Zyra helps capture the leads that you would have missed. Get the full 15 minute demo for free below. We will show you exactly how you can dominate as a local business.